The lighting scenes can indeed take form of a scene akin to the one in theatre. Leisure time can enjoy different lighting set-up than working, all in the same area. When LED systems are in place, the system can be further enhanced with RGB light mixing, changing the mood of the room, even very dynamically. In such uses the lighting can even be remotely controlled, whether by a dedicated remote control or via a PC, tablet or even iPhone and iPad. 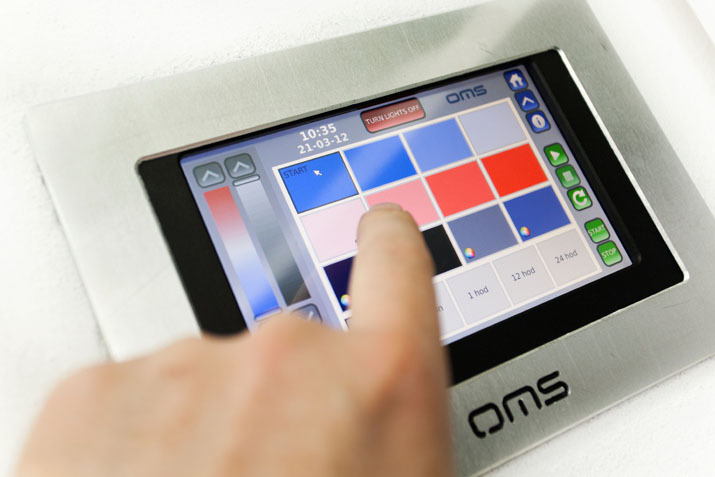 In the case of lighting systems controlled digitally via DALI or DMX protocols, DALI allows for complex lighting systems programming and combination. DMX is more useful in applications where RGB mixing is required. Both can be controlled over a LAN or a Wi-Fi. At its most simple, changing the lighting scene can be achieved without any sensors with a simple dimmer. 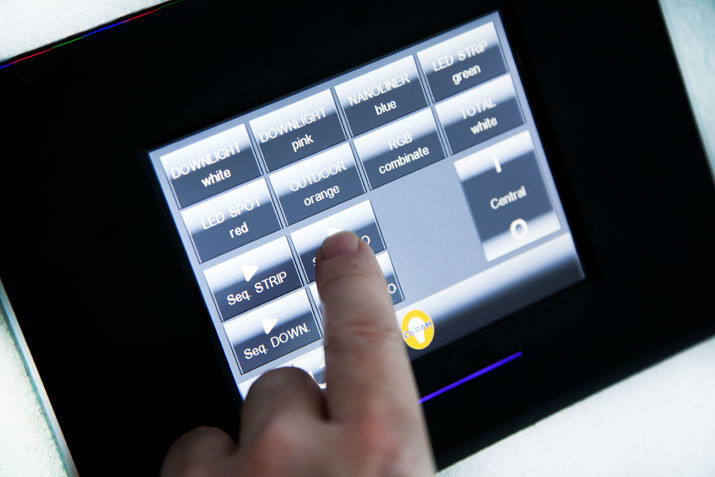 Manual dimming fully relies on the input of the user – it cannot be programmed or preset and only offers hands-on direct management of luminance. It has one huge advantage though – it works with most technologies, can be applied to almost any environment and installation conditions and is cheap. Its main component is a switch that allows turning lights on and off with the separate or combined element that allows for gradual dimming and setting the desired level of lighting. It is available for analog, digital and thyristor lighting control systems. 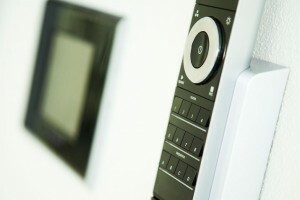 Even though the low-end dimmers are simple, there is still progress in their construction. Currently the dimmers are built with silicon-controlled rectifiers, which do not dissipate heat, unlike the traditionally used variable resistors. This means improved efficiency of the switch, regardless of the luminaire efficiency. But indeed, manual dimming systems have a distinct disadvantage of relying solely on feedback to a human operator. Apart from manual dimming there can still be a simple sensorless set-up that provides different lighting levels for different tasks such as work, maintenance, production or night-time security. The pre-set scenes can fade the lights in and out different parts of the space in given increments. The luminaires can be completely turned off or increase their intensity in gradual steps of e.g. 25 percent. Each of these levels would be suitable for different purpose. This allows saving energy in cases where full intensity of luminaires is not necessary. In more complex applications the lighting scenes can indeed take form of a scene akin to the one in theatre. Leisure time can enjoy different lighting set-up than working, all in the same area. When LED systems are in place, the system can be further enhanced with RGB light mixing, changing the mood of the room, even very dynamically. In such uses the lighting can even be remotely controlled, whether by a dedicated remote control or via a PC, tablet or even iPhone and iPad. The usual infrared remote controls might not be sufficient in more complicated spaces where direct line of sight between a remote and a sensor might not always be established. In such cases radio control elements might be used, as they are able to pick up a signal even over a wall. This makes them a favoured tool in interior designs where they are required to be hidden e.g. behind a dry wall and still fulfil its function. 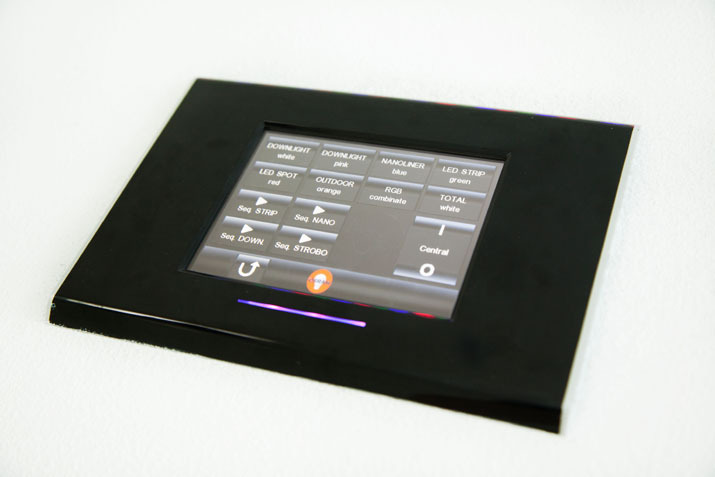 In the case of lighting systems controlled digitally via DALI or DMX protocols, DALI allows for complex lighting systems programming and combination. DMX is more useful in applications where RGB mixing is required. Both can be controlled over a LAN or a Wi-Fi, which, similar to radio controlled sensors, is available even when not directly visible. Along with controlling and programming the lighting via a PC the remote control function can also be delegated to an iPhone or another Wi-Fi enabled smartphone, given that a proper application is available for a given platform. Digitally programmable scenes allow for dynamic changes in the lighting, which can be pre-programmed and preset to happen in specific order and timing, further improving the mood of the spectators. Again, the comparison to the theatre is at hand, where modern scene-lighting systems are similarly preset and pre-programmed for every performance taking place and saved for re-use. Latest lighting controls based on DALI protocol can be preset to 128 different scenes and can control up to 16 thousand combined groups of elements, which can include not only lighting, but also electrically controlled window shutters, air conditioning, alarms or heating. The managing of the scenes must not be this complicated though, a simple control board with different switches for different scenes is often enough to fulfil the goal of efficient yet comfortable lighting.